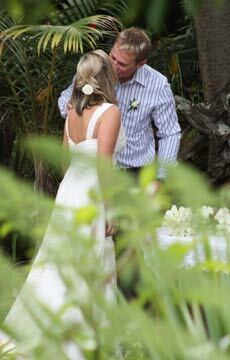 Wharepukes subtropical “Garden of Significance” is a perfect Wedding Venue. 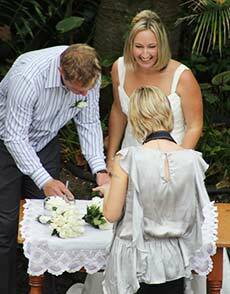 A sunken amphitheatre for your wedding ceremony provides great viewing by your friends and family. Lots of photo opportunities in the gardens. 1km to Kerikeri town and one minute to the Historic Stone Store Basin. Guests are encouraged to stay on site in our five cottages making preparation and travel easy. Our wedding day was absolutely perfect – wouldn’t change a thing and your guy’s were all outstanding. All our guest’s are still raving about our wedding and we will always look back on the happiest day of our lives, with such fantastic memories. – Love Kate. We have a separate Conference Venue onsite for up to 12 people. Internet connected.